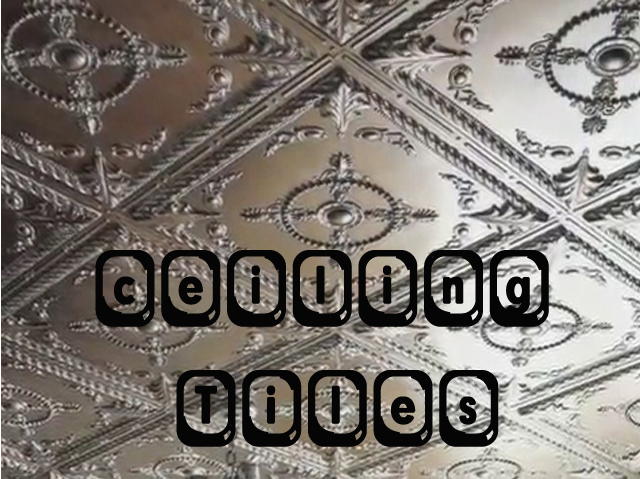 For todays post, we say thank you to ceiling tiles!! Now, I am sure you are thinking most designers curse those dreadful things and here we are dedicating a whole day to thanking them?!? Well, thats because you may be thinking of these pictured below. 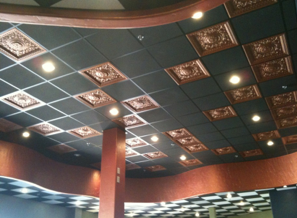 Now that we are on the same page, ceiling tiles have been a functioning part of design for a long time and it is finally time for someone to pay them a little appreciation. 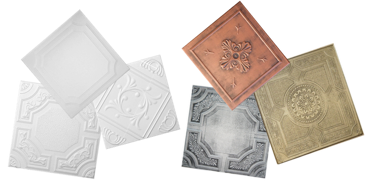 They are a lightweight tiles used in the interior of buildings. 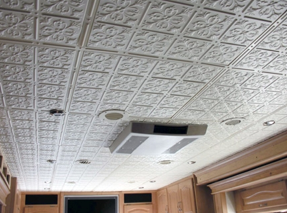 The tiles are placed in a suspended aluminum grid and are generally designed to improve the acoustics of a a room. 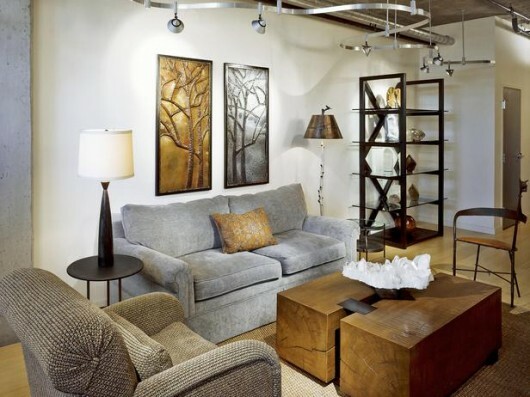 These days, we like them for their decorative properties and what they add to the overall design of a space. They can be made from an array of materials such as perlite, mineral wool, and even fibers from recycled paper!! 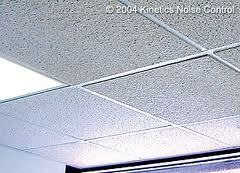 Lets be honest, we have all seen enough ceiling tiles in our lifetime to know what they are. 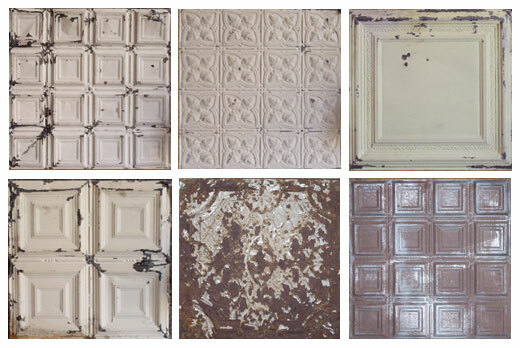 So instead, lets focus on the vast improvement these tiles have made over the years. 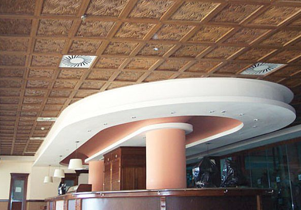 We now have the ability to execute your design concept all the way through the space from floorboards to ceiling tiles! 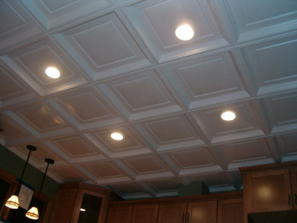 Here you can see a wonderful way to add some flare to your ceiling without stepping too far from tradition. Keeping with the white color but adding some architectural detailing brings the whole space together with clean lines. However, these photos below show a different version where your eyes are immediately drawn towards the ceiling design. As you can see, ceiling tiles have come a long way, no longer will we settle for what used to be white, eye sores on our ceilings. We want drama, pizzaz, detail and elegance!! So a big thank you for the improvements made in the industry, now our ceilings can be functional. and beautiful at the same time! Thanks for reading and be sure to check back to see what piece of design we pay tribute to tomorrow!! Track lighting is a wonderful way to add light to a room. It offers flexibility with unlimited ways to provide task or accent lighting. 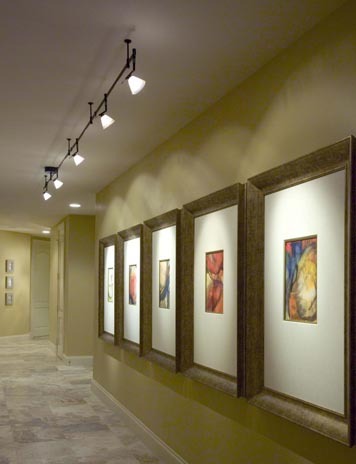 Track lighting is perfect for highlighting artwork or architectural details, and to provide general illumination for an entire room. Once the tracks are installed, fixtures can be installed, moved or removed from the track with a simple twist. This flexibility allows you to easily achieve the task lighting or mood you want. 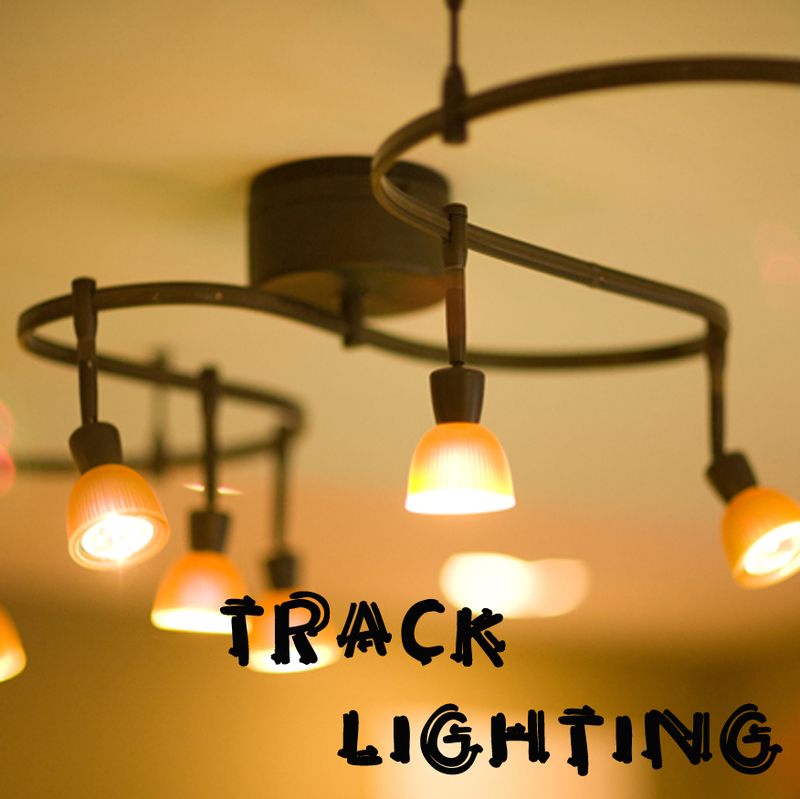 Decorative track lighting may seem like an oxymoron as it used to look almost entirely industrial. Which, in its day, was part of its appeal. However, people have been less enthused by the industrial appearance, but still wanted to keep its flexibility and high-quality task lighting. 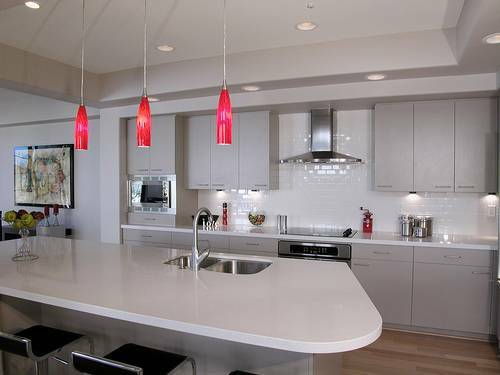 As a consequence, designer tracks and fixtures have become increasingly popular. 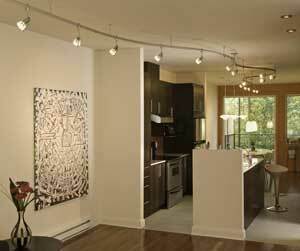 The track works with a narrow-focus bulb to spotlight a piece of artwork, a wide-focus “wall washer” to bathe a wall in light, or a general-purpose bulb to light a kitchen counter or reading chair. Designer track lighting shies away from the industrial look in favor of fixtures and tracks that are themselves attractive. This can be tricky. Track lighting includes both a track and fixtures. However, its use of lines and geometry makes it very well suited to both classic and contemporary ceiling lighting. We could go on and on about the endless possibilities track lighting provides. Perhaps we will another day!! Until then, we express our “thanks” to the ongoing innovation and discoveries of track lighting!